One of the many makeup goodies my sister has bought for me over the years from the massive list I give her every birthday and Christmas. This was on the same list as Bella Bamba, another Benefit product I wanted to try but she was advised that Sugarbomb is more versatile as it contains more colours you get a more multi-dimensional colour - more bang for your buck. At first I wasn't convinced that this product was as good as the shop assistant had billed it to be. 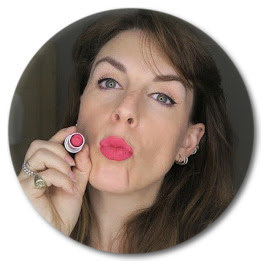 It seemed incredibly pale but the more I used it the more I loved it and now wear it most days as it really is the perfect mix of colours for a natural, glowing, slightly rosy look with buildable colour. And I'm not the only one who loves it - it was given the Readers Kiss of Approval Ultimate Blusher award at the recent Cosmopolitan Beauty and Fragrance Awards.